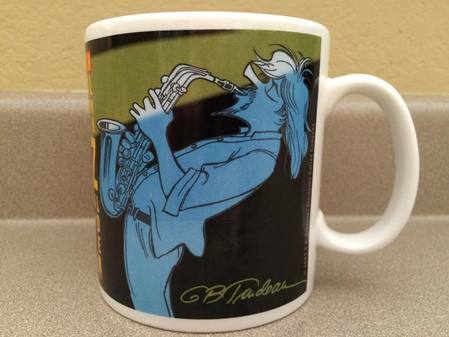 The mugs were designed by Garry Trudeau for STARBUCKS to help raise money for literacy programs across the U.S. This is my work mug and it has followed me pretty much my whole career. Do you know when it was sold? I am thinking early 2000s?